Even with our move to the farm, Olivia and Adam remain committed to their volunteer work with Blunt Youth Radio out of WMPG in Portland. They both continue to produce and engineer shows, like this one on LGBTQIA+ Issues, or Intersectional Feminism, or Geek Culture in Maine. 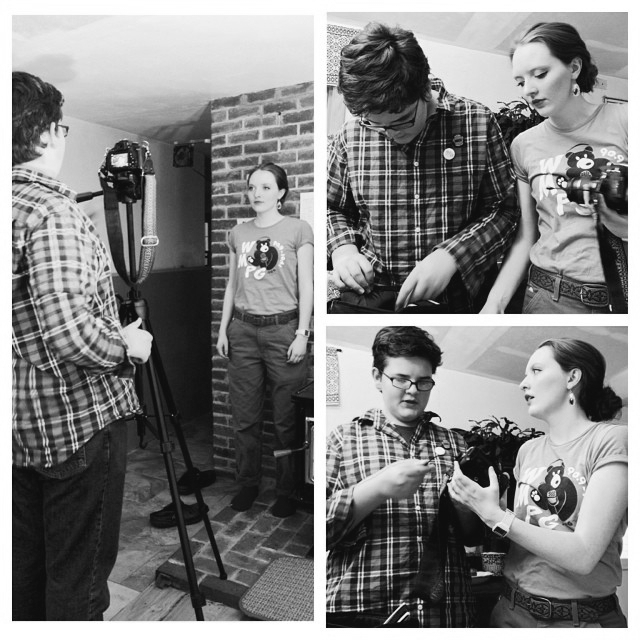 Most recently, they were both asked to produce the Indiegogo campaign video for Blunt's latest fundraising effort to improve and update Blunt's recording equipment. Adam and Olivia used their own equipment, talent, and skills to produce this video. They spent several days editing and agonizing over details. Essentially, they did what they always do, regarding their work; they took it seriously and committed fully to it. They are both detail oriented, and passionate about producing good material. They make a good team and it was sometimes overwhelming to listen to them geek out about the finer points. It was also incredibly fun to watch them work together. Ultimately, I think their vision will serve Blunt Youth Radio well. Please consider offering your support by preserving youth voices on the air with your donation.